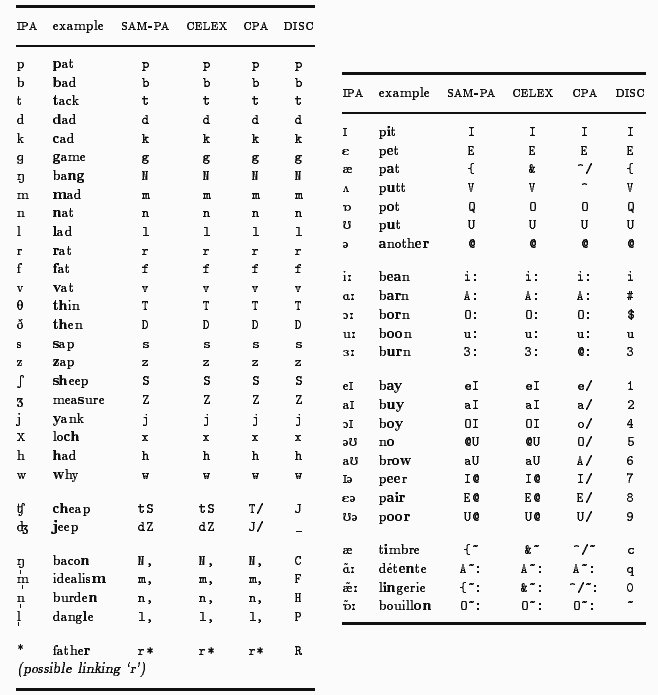 Please note that the English corpus used by CELEX for deriving these frequencies contains only 7.3% spoken material. This means there is a rather tenuous relationship between the full frequency figures, which are based on written forms, and the syllable frequencies, which merely refer to phonemic conversions of these graphemic transcriptions. Of course it could be argued that frequencies of syllables, as lexical sub-units, are less liable to get skewed from differences in medium than full words, but it has to be taken into account that NO FIRM EVIDENCE ABOUT SPOKEN FREQUENCIES can be derived from these data.